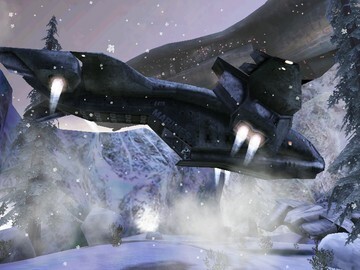 This is the first public beta of my modified A50 level, featuring a snowy exterior and new weapons. Several have been tweaked slighly from their original state. The two biggest examples are converting the battle rifle to single shot, and increasing the damage and ammo capacity of the smg. New hunter weapon, it now shoots a very powerful red shade round. Two shots can drop a spartan, however the hunters fire in a fan-shaped pattern, allowing the player to dodge the plasma.